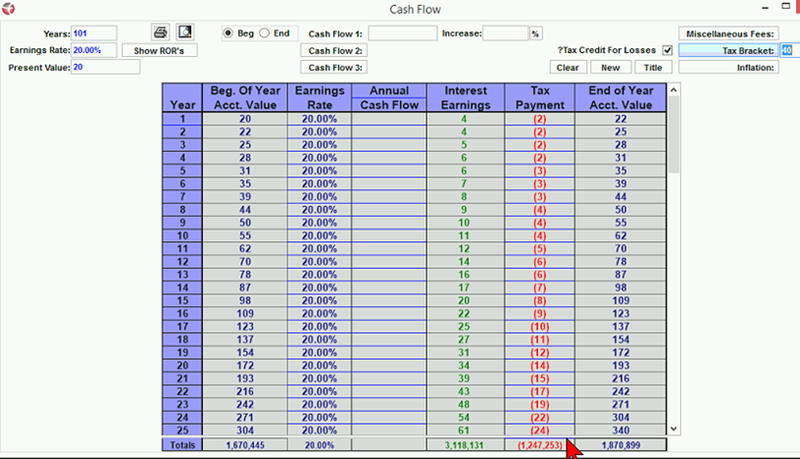 The Cash Flow calculator shows the results of annual cash flows (inputs or withdrawals) at level or varying interest rates. Your client’s child is eight and will attend a school you are estimating will cost $30,000 per year in 10 years. The child will graduate in four years and experience an 8% increase in tuition annually. Assuming your client earns a net 5% on his investments, how much does educating this child with cash cost his retirement account 30 years from today? Answer: $348,918. So even though your client only sent $135,183 to the school, while he was in his 40’s, by the time he was in his 60’s, he’d lost $348,918. Use the Cash Flow calculator to educate or demonstrate a key principle.It’s said that the important thing is not how much you make, but how much you get to keep. 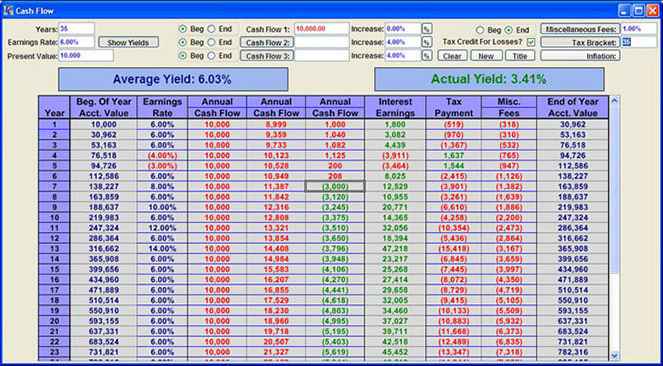 You can use the cash flow calculator to demonstrate the impact of various rates of taxation on an investment. Compare the impact of different tax rates and demonstrate concepts such as the Laffer curve.